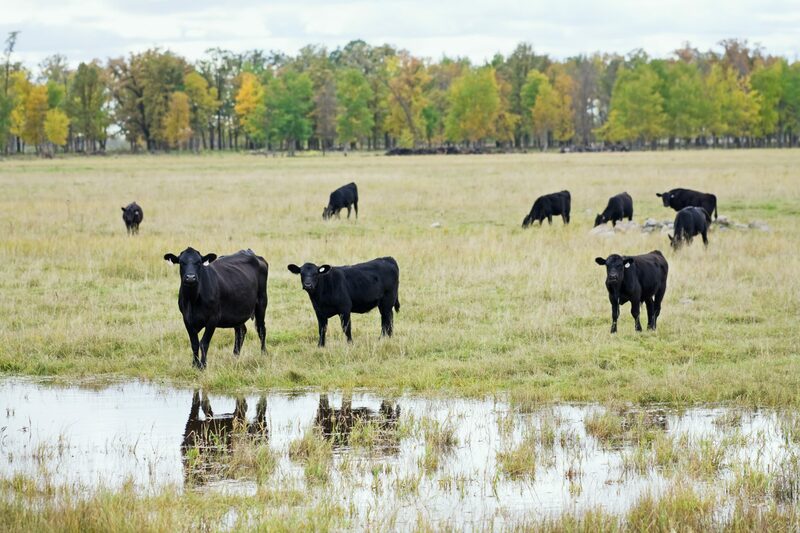 Water is considered the most critical nutrient in beef cattle diets. Cattle diets are balanced for energy, protein, vitamins, and minerals based on the desired level of animal performance. Animal performance can be affected by water intake—a key factor often overlooked. Water is needed by cattle daily to support maintenance (digestion and excretion), growth, and lactation. A significant amount of water can be lost through excretion in the form of urine, feces, or sweat. Cattle do not adapt well to water restrictions. Restricting water consumption can lead to a decrease in feed intake and poor animal performance. Understanding the daily requirements and influences on water needs can help producers plan for reliable sources and supply of drinking water for cattle. 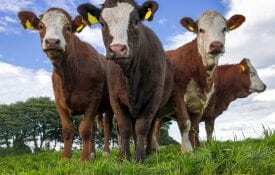 Cattle fulfill their water needs from three main sources: drinking water, water in forage and feed, and metabolic water produced from digestion or other metabolic activities. early- to mid-pregnancy has a lower water need per day than one within 60 days of calving. As cows reach the last trimester of pregnancy, water requirements begin to increase in order to have the capacity for milk production. Water requirements are their highest for cows in the first 60 days after calving, which is the peak lactation period. Mature bulls require similar amounts of water to a lactating cow. Table 1 illustrates water requirements of cattle in different stages of production. Grazing cattle consume water in fresh forage, which contributes to daily water needs. Lush, vegetative forage may contain up to 80 percent water; whereas, harvested forages such as hay may contain 10 to 15 percent moisture. 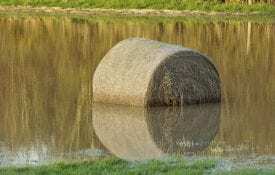 Cattle consuming hay and supplemental feeds may require more daily water than those on pasture. Self-limiting supplemental feeds containing salt (i.e., a “hot mix”) may increase the water requirements of cattle. Salt is rapidly absorbed into the bloodstream and excreted by the kidneys through urine. To eliminate excess salt, adequate clean water sources must be available. Water can be lost through evaporation from the skin or respiration from the lungs in beef cattle. As temperatures increase, water lost through this process may exceed that from excretion. Increased physical activity from handling cattle during hot, humid weather conditions can amplify water losses. 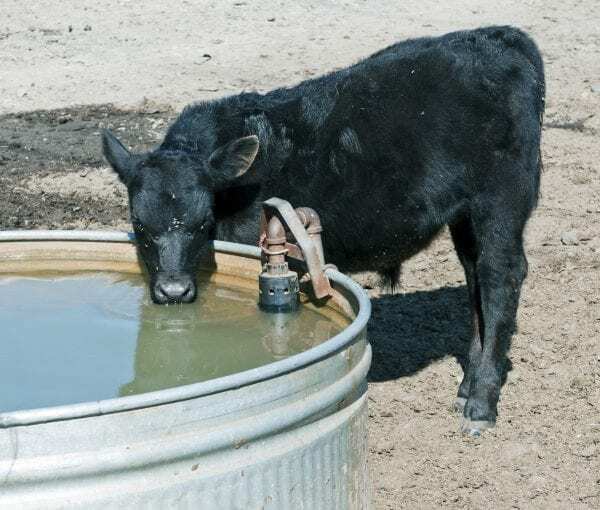 Because water consumption increases during the summer months (June through September), it is especially important to monitor water sources to ensure an adequate supply for cattle during this time of the year. Table 1 illustrates water requirements for beef cattle in various stages of growth and production and how needs change with increasing air temperature. Heat stress and water losses in cattle can be minimized by providing ample shade for grazing livestock. 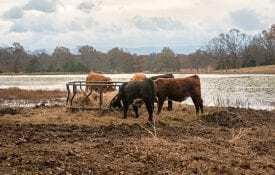 Handling cattle in the morning or evening when temperatures are at their lowest or decreasing can reduce stress to livestock during the summer in Alabama. Download a PDF of Water Requirements of Beef Cattle, ANR-2436.